Convert your Blu-ray files in MKV in one click with VSO Blu-ray to MKV. Conversions are completed quickly, giving you the best quality possible. 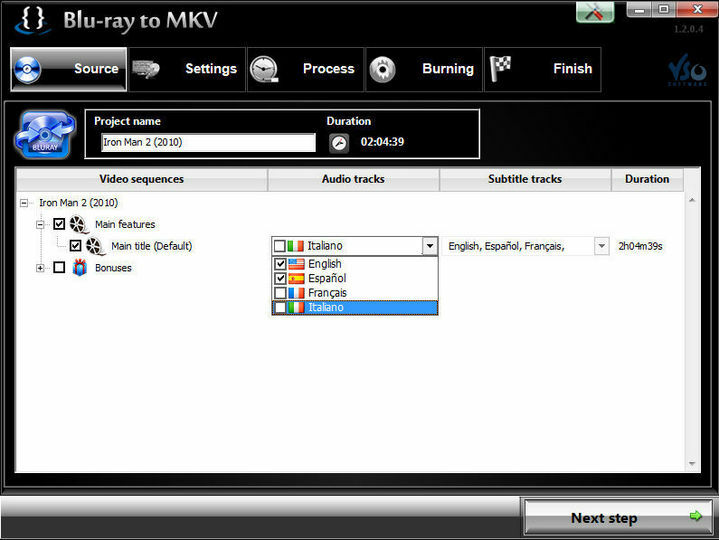 Select the audio and subtitles of your choice from the video, burn to hard disk or DVD. The live preview allows you to watch the conversion process. Get top quality results! Supports Cuda technology.